Payleven's chip-and-PIN reader can be connected to an iPhone, iPad or Android device via Bluetooth, allowing users to take payments from major card providers such as Visa and MasterCard. The device can be used anywhere where a mobile or Wi-Fi connection is available and is intended to be used by small businesses and sole practitioners such as plumbers, electricians or outdoor market stalls, Payleven said in a news release Thursday. The device is available for £99 (US$150) and has no fixed monthly fee. 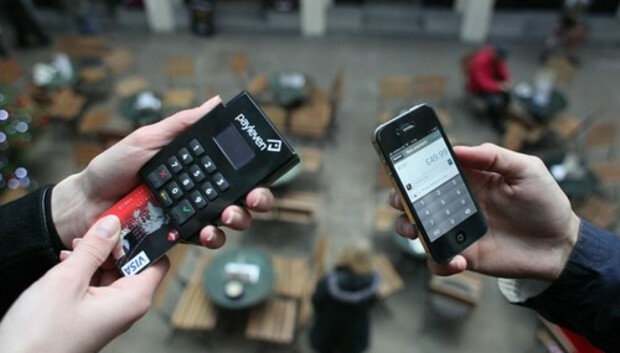 Payleven charges 2.75 percent per transaction. "Anyone who wants to buy one can go to an Apple retail store in London right now and get one," said a Payleven spokesman.